Did you know that 69% of the Philippine population have no bank accounts? And did you know that only 7 million Filipinos or roughly only 7% of the population have credit cards? With the rise of millenials as the nation’s largest living generation and with the rise of the digital age, the percentage of Filipinos with credit cards is quite low compared to our neighboring countries despite that fact that the Philippines has the fastest-growing economy in Asia in the first quarter of 2016. 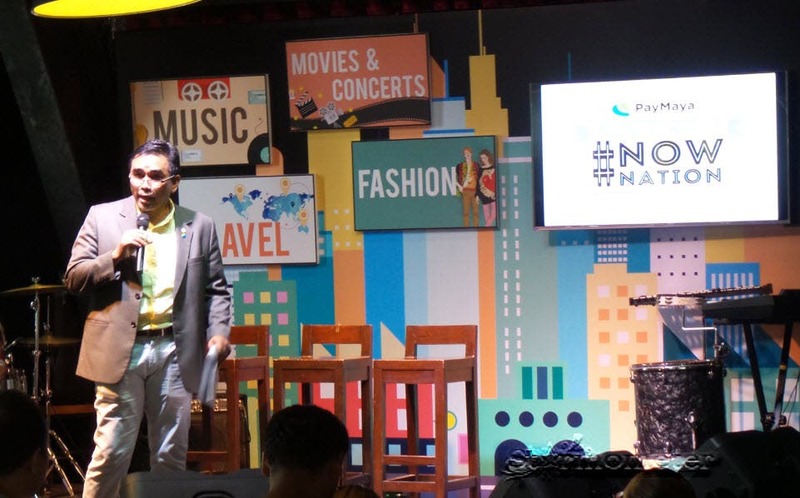 This is why PayMaya Philippines (formerly Smart e-Money, Inc), the financial services arm of Smart and PLDT, launches “#NowNation” on Thursday, June 23, 2016 at Twelve Monkeys Music Hall and Pub in Century Mall, Makati City. It’s a campaign that aims to inspire and enable the millennials to seize the day and pursue their passions be it in sports, music, fashion, gaming, and travel. There is no better time for the millennials to be whoever they want to be and do the things they have always wanted. However, the challenge of financial inclusion in the country hinders the unbanked and the uncarded to access financial and digital services. For instance, the lack of a credit card disables potential travellers to book flights every time they spot a seat sale. With PayMaya, by simply downloading the app on Google Play or App Store, users get an instant virtual Visa card that they can use to book flights whenever, wherever they are. 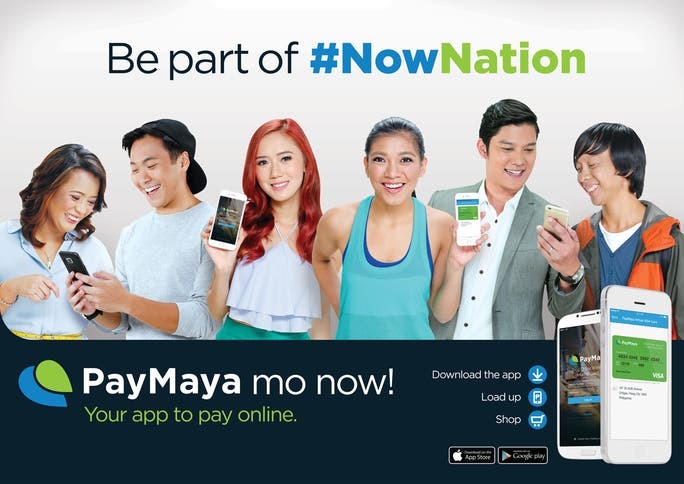 “We are thrilled to launch PayMaya’s #NowNation campaign to signify our commitment in empowering millennials to pursue their passions and the endless possibilities that come with being part of this generation. Now is the time to travel and get out of your comfort zone, to find new places to eat with people you love, and to game up your style to express yourself and be who you truly are. This is what #NowNation is all about, and it is living in the moment with PayMaya that we can unlock a life brimming with experiences,” said Paolo Azzola, Managing Director and co-COO of PayMaya Philippines. Joining the #NowNation are PayMaya’s newest brand ambassadors who have persisted in what they love to do every day, in the here and now: Alyssa Valdez, the heart-strong Volleyball player we all love; Camille Co, a young fashion designer and style blogger; Seph Cham, an up-and-coming men’s fashion and lifestyle guru; Chichi Tullao, the food stylist behind the delectable Happy Tummy Travels; DJ Carlo Atendido, the first FIlipino to win the Red Bull Thre3style World DJ Championships in 2015; Jonas Roque, the popular travel with hugot blogger behind Wandering Weekend Warriors; finally, Team Mineski, the professional Philippine DoTA team who most recently represented the Philippines in the international Manila Majors DoTA tournament. With the #NowNation ambassadors, PayMaya hopes to inspire young millennials to go beyond dreaming and start living. “Aside from discipline, sports has taught me so much about resiliency and I guess this is the best piece of advice I can give. In pursuing your passion, don’t get disappointed with failures in the beginning as the start is always the hardest. You will realize later on that the best decision you ever made is when you told yourself to get up and continue the game during tough times,” said Alyssa Valdez. Aside from providing the financial tools needed to enjoy the things they want and gain meaningful experiences, PayMaya also keeps innovating for its users. PayMaya is the only payment app and prepaid card accepted on Uber. Recently, PayMaya and Uber entered a unique partnership enabling PayMaya users to link their app or their card to their Uber app to hail a safe and convenient Uber ride. To celebrate this alliance and give users an additional treat, the partnership came with a promo where users who download and use Uber for the first time get 50% off on their first Uber ride until July 10, 2016 by just using the promo code PAYMAYAxUBER. The PayMaya Visa card also functions as a beep card in MRT and LRT. By simply reloading your card at the ticket booths or vending machines, you can avoid the long queues the next time you ride the train and just tap to go! In addition to its “Send Money” feature which allows users to send money to anyone with a PayMaya app, they can now also send and pick up funds at any Smart Padala Center, which has more branches than banks and pawnshops combined. Soon, users will also be able to pay their bills and government services like SSS via the app. This way, PayMaya makes payments easy and convenient for living in the now, be it for having fun or for meeting our day-to-day needs. In the next decade, the millennials and their numbers and lifestyle will drive the country’s prosperity. By addressing this frontier market segment, PayMaya helps build an important backbone of the Philippine economy. The economy is estimated to grow by 7% to 8% within the decade on the back of its young population. Right now, most Filipinos are young and able to work—a favorable demographic where an increase in the number of working adults with bigger purchasing power will mean greater domestic demand and higher economic growth. The spending habit of the millennial generation bodes well for the Philippines where private consumption accounts for 70% of its gross domestic product (GDP) as per 2015 data from the Philippine Statistics Authority (PSA). Retail trade, for instance, grew by 7% from 2014 to 2015; it’s now a half-a-trillion business. This growing consumption is driven in part by rising incomes of millennials. For instance, families whose family head is a millennial are earning more than counterparts in the last decade. In 2012, 2.4 million families with a family head aged 25 to 34 had a total of P447.9 billion in income. A decade earlier, 3.3 million families with a family head aged 25-34 earned P375.4 billion in total. The top transactions on PayMaya from May 1 to June 13, 2016 based on transaction count are: (1) Google, (2) PayPal, (3) iTunes, (4) Uber, (5) Spotify, (6) Valve, (7) Steamgames, (8) Facebook, (9) GrabTaxi, and (10) Lazada. Filipinos are also splurging on travel and lodging—services that were once exclusive to the banked and carded segments of the society. Be part of #NowNation! For more details, visit www.paymaya.com. Find us on social media: facebook.com/PayMayaOfficial, twitter.com/paymayaofficial, and instagram.com/paymaya_official. [..YouTube..] Love that group idea. Your intro was poppppingï»¿ lol. You did gain weight put you will def loss it. Im rooting for you cant wait to see your loss next week ! 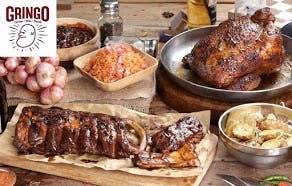 Bom, gostaria de mostrar um erro que foi colocar que a receita Ã© vegetariana, uma receita vegetariana nÃ£o tem ovos, essa Ã© uma receita ovolactovegetariana, em uma receita vegetariana nÃ£o se come ovos, leite e derivados,carne de qualquer especie ” incluindo peixes” e mel. Greetings everyone, This webpage is excellent and so is how the matter was expanded. I like some of the comments as well although I would prefer we all keep it on topic in order add value to the subject. Different condition, same problem. At least male doctors don’t snicker when you mention CES.. I’ve had TWO doctors in my past that actually did the “Migraines? No, seriously, what’s the problem?”.At the risk of sounding REALLY stupid, have you checked the online/telephone sites like 1800-DOCTORS? I know in my case, it’s the simplest things I forget. Ciao Mango,Ã© impressionante! Pensa che io volo sempre con Airfrance,tratta Montreal-Parigi, due volte l'anno e in genere preferivo gli airbus per via degli schermi sui retro-poltrona..Spero di non incontrare mai delle turbolenze come quelle..
you’re truly a good webmaster. The web site loading pace is amazing. It sort of feels that you are doing any unique trick. Also, The contents are masterpiece. you have performed a magnificent job in this topic! C seats are odd numbered in Section J1. Seat 1 is more towards the center of the Bowl and the last seat in that row is 39. Seems like 13 might be a bit closer. Here is a of the Hollywood Bowl and a view from Section J2 Row 14 Seat 1. Hope this helps. OlÃ¡ Juliana! Mas Por que tanta cobranÃ§a? CÃ©us, ninguÃ©m aguenta! Pode ser que ele esteja com a auto estima em baixa e jogando tudo em cima de vocÃª. Converse com ele e aconselhe um terapeuta. Hoje em dia existem profissionais magnÃ­ficos que podem auxiliÃ¡-lo. E nÃ£o se doe tanto e nem se sinta culpada porque vocÃª irÃ¡ acabar esgotada, sugada, vazia e sem energia alguma. O problema nÃ£o Ã© com vocÃª e sim com ele! Ele quem precisa ter mais autoconfianÃ§a e assim exigirÃ¡ menos de vocÃª. Boa sorte, Paz e Luz! “The thought of McCain being president sends a cold chill down my spine. He is erratic. He is hotheaded. He loses his temper and he worries me.” — Senator Thad Cochran of Mississippi, who has known McCain for 35 years. After research a number of of the weblog posts in your website now, and I truly like your way of blogging. I bookmarked it to my bookmark web site record and will be checking again soon. Pls try my website online as properly and let me know what you think. I would like to use the ability of saying thanks to you for the prsoaosifnel direction I have enjoyed checking out your site. I will be looking forward to the particular commencement of my school research and the overall preparing would never have been complete without browsing this site. If I might be of any help to others, I would be pleased to help by means of what I have gained from here.